The Stevenson Family were extensive in the Dyer trade in Dundee including in most recent memory being Dyers & Dry Cleaners through to the 1960s. Sadly, John did not live to see the Albert Institute built. A gravestone for John Stevenson, his wife Catherine Johnston, together with their children Jane, John and Catherine, previously existed in the New Cemetery, Constitution Road. Congregational - he was elected president of the Ward Chapel Congregational Church in 1853. Dyers representative on the Nine Trades of Dundee, 1853-1862. Committee member, Monthly Tract Society, 1856-1857. Subscriber no. 10- John Adam, ropemaker was an executor named in John Stevenson’s will. Subscriber no.184 – James Prain was an executor named in John Stevenson’s will. Son of a James Stevenson, a Perthshire builder, and Jane Annan, John Stevenson was one of 10 children. Three brothers John, Francis and George (others followed later) came to Dundee to make their fortune. Both Francis and George served an apprenticeship under their brother John. John joined the Ward Chapel Congregational Church on 9 October 1834, a fortnight after his wife. He went on to become president of the church in 1853. The following advertisement appeared in the local directory in 1842: "SILK, WOOLLEN, COTTON, AND LINEN DYEING. JOHN STEVENSON begs to inform his Friends and the Public, that, in addition to his Premises, Constitution Road, he has OPENED that Shop No. 17 Nethergate, being the third shop east from Tally Street, where orders will be received for CLEANING, DYEING, and DRESSING all kinds of SILK, WOOLLEN, COTTON, and LINEN GOODS,—viz. Velvets, Satins, Sarsnets, Mouseline de Laines, Chalies, and Orleans Cloths, Poplins, Canton Crape, Bombazines, Indianas, Merinos, India and British Shawls, Ribbons, &c Mournings Dyed on the shortest Notice. Blacks changed to other colours; Moreen cleaned, dyed, and watered; Calico Prints cleaned, starched, and glazed; Table and Carpet Covers cleaned, re-dyed, and pressed; Carpets & Rugs cleaned. Gentlemen's Clothes and Ladies' Cloaks renovated. Linen Yarns dyed Indigo Blue, and all other colours No. 17 Nethergate, Dundee, August 4, 1842." 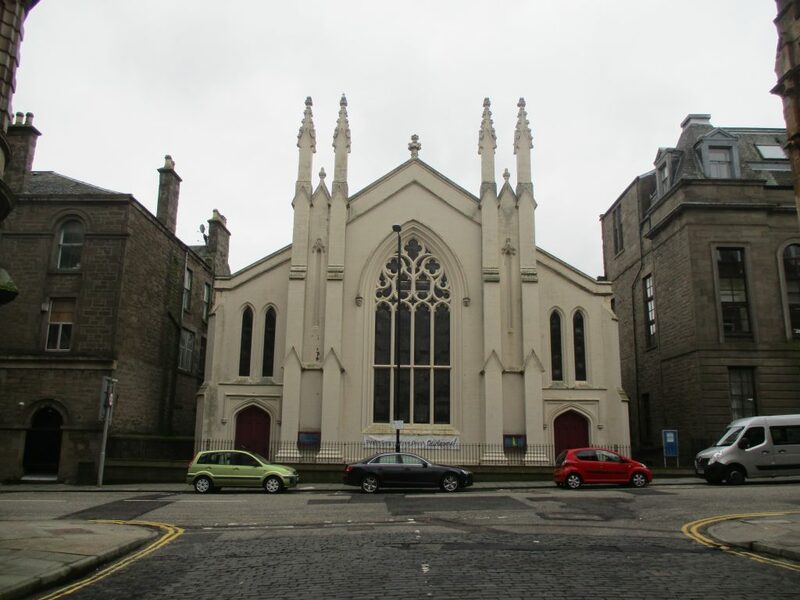 John's brother, Francis, was also a dyer and having served his apprenticeship at his older brother's works in Chapelshade he moved to gain more experience in Glasgow and Paisley. He returned to Dundee from Dunfermline in 1856 and briefly managed the Seafield Dye Works for D. Thomson before the creation of the firm of J. & F. Stevenson. Francis Stevenson and his wife joined the Ward Chapel Congregational Church in 1856, with Francis going on to become an influential member. Another younger brother, George, also served an apprenticeship with John before going away to gain experience in Perth, Glasgow and Paisley. John Stevenson was also a partner in Messrs Shaw, Baxter & Co., merchants, Cowgate. His son James, also a dyer, was aged twenty when his father died and was the person who informed the registrar. John made provision for an advance being made to James should he decide to enter the firm as a partner. John left an estate worth £7212 18s. 7d. 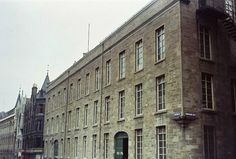 After John Stevenson’s death, his brother, George, joined Francis in the firm, having previously run the Law Mill Dye Works and the Coldside Dye Works. Their partnership was dissolved in 1882, George acquiring the Ancrum Carpet Works and Francis forming the business of Francis Stevenson & Sons. 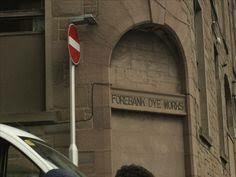 Francis’s sons already had the business of Stevenson Brothers at Dundee Dye Works in the Hilltown. New works were built at Lawside and the Forebank Works sold off. In 1929 Stevenson Brothers was acquired by Associated Dyers and Cleaners Ltd. This brought the firm into the same group of companies as Pullars of Perth. In 1938 all these companies became part of Johnson Brothers Ltd.
Another brother, James, 1812-1877, became a Master Builder in Fife and three other brothers became Master Masons. The male sons of Francis all became day pupils of Dundee High School. John’s great niece Winifred married into the Cleghorn family. His great niece Margaret Kidd married William Philip of Wholesalers Watson & Philip – A descendant Preston Watson 1880 – 1915 (Who married Beatrice Philip) is renowned locally for his contribution to early flying. See Scottish newspaper articles and most recently a book published in 2014 with the support of the Dundee Museum of Transport: The Pioneer Flying Achievements of Preston Watson by Alistair W. Blair and Alistair Smith. His nephew Laurence Key Stevenson became the Dean of Guild and Inspector of Buildings. John Stevenson’s nephew Roderick Talbot Stevenson married Mary Lamb granddaughter of Thomas Lamb. Roderick was awarded the MM and died in WW1 in 1941. Old Parish Record. Findo Gask, Perthshire. Baptism. 10 September 1814. 352/10 251. Scotlands People website. Scotland, Select Marriages, 1561-1910. Dundee. 23 November 1838. FHL Film Number 993404. Ancestry website. 1841 Census Scotland. Dundee. 282 ED66 p.4. Ancestry website. Scotland, Select Births and Baptisms. 15 February 1841. FHL Film Number 0993405, 0993408, 993403, 993408. Ancestry website. 1851 Census Scotland. Dundee. 282 ED54 p.44. Ancestry website. <1851 Census Scotland. Dundee. 282 ED54 p.44. Ancestry website. Dundee Directories, 1844-1850. Local Studies, Central Library, Dundee. Statutory Registers. 1st District, Dundee. Death. 16 November 1865. 282/1 1195. Scotlands People website. Falconer, C.M. and Low, J.C. (1934) The Story of the Ward Chapel. Dundee: privately printed. Dundee Directories, 1850--1862. Local Studies, Central Library, Dundee. Dundee Directory, 1856-57.Local Studies, Central Library, Dundee. Dundee Directories, 1842--1845. Local Studies, Central Library, Dundee. Dundee Directories, 1846--1850. Local Studies, Central Library, Dundee. Dundee Directories, 1853--1865. Local Studies, Central Library, Dundee. Dundee Courier, 28 September 1908, p.5 and Dundee Courier, 13 December 1910, p.5. British Newspaper Archive website. Roll of Members. Ward Chapel Congregational Church. CH14/4/59. Dundee City Archives. Dundee Courier, 28 September 1908, p.5 British Newspaper Archive website. Dundee Directory, 1861-62. Local Studies, Central Library, Dundee. Dundee Courier, 13 December 1910, p.5. British Newspaper Archive website. Testamentary Records. Wills and Testaments. Dundee Sheriff Court. 30 December 1865. SC45/31/19. Scotlands People website. Dundee Directories, 1861--1865. Local Studies, Central Library, Dundee. Dundee Courier & Advertiser, 12 June 1929, p.7. British Newspaper Archive website. Business Records. Pullars of Perth. MS51. Perth & Kinross Archives. Monumental Inscriptions. Volume 4. Angus: Dundee and Broughty Ferry. p.179. Dundee Central Library, Local Studies. Thanks also to the staff of Local Studies, Central Library, Dundee and Perth & Kinross Archives. Thanks to John Irvine for initial research. The information above about John Stevenson has been collated from a range of digital and hard copy sources. To the best of our knowledge it is correct but if you are relying on any information from our website for the purpose of your own research we would advise you to follow up the sources to your own satisfaction. If you are aware of an inaccuracy in our text please do not hesitate to notify us through our Contact page.